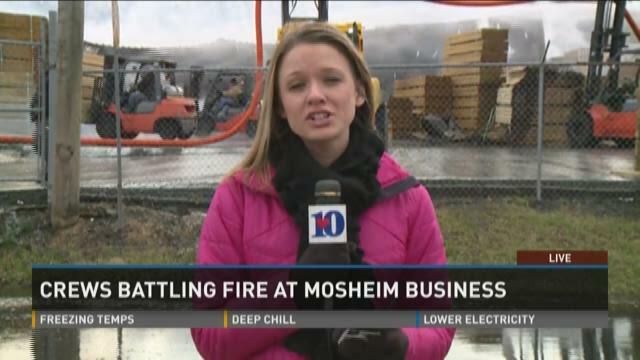 A massive fire severely damaged a business in Mosheim on Wednesday morning. 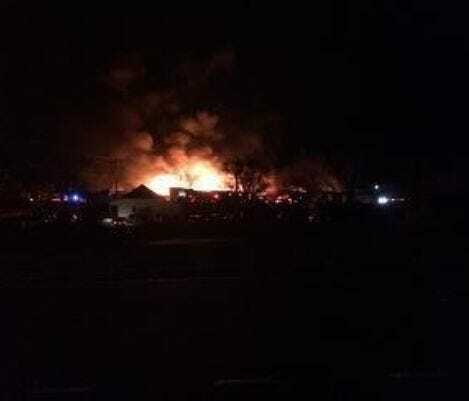 After several hours, about 60 firefighters representing seven fire departments managed to get the fire under control at Appalachian Forest Products at 125 South Spring St., located just off Highway 11 East. The business caught fire after 6 a.m. Wednesday. Officials said fire spread quickly because of all the wood and the building's contents. The fire was so large it could be seen from several miles away. Crews said battling the fire in the bitter cold temperatures was difficult, but no one was hurt. The fire, however, severely damaged the front of the property. Investigators said they don't know what sparked the blaze, but they know it started in a compressor room. While crews fought the fire, employees moved pallets of lumber to a safe place, so firefighters could have more room to work. 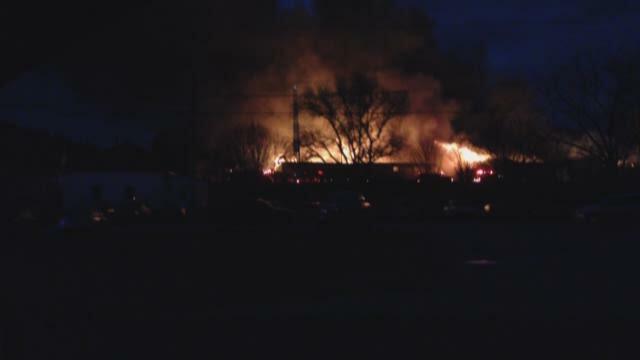 The owner of Appalachian Forest Products, Courtney Hutcherson, said 38 people worked at the site. "Is this hard to look at? What's going on behind you? This is 25 years of my life. It's devastating," said Hutcherson. Students from two nearby schools were moved to other schools because of the amount of water needed to extinguish the fire depleted the schools' water supplies. Greene County Director of Schools Vicki Kirk said students from Mosheim Elementary were transferred Chuckey-Doak High School, and students from West Greene High School were sent to North Greene High School. Kirk said all the students are OK.
Kirk said parents had the option of picking up their children when the school transfer happened.